If you’re looking for an easy but impressive cake to make for a summer party, then I’m your gal. Or I should say, Paul Hollywood is your man, as this is one of his recipes. 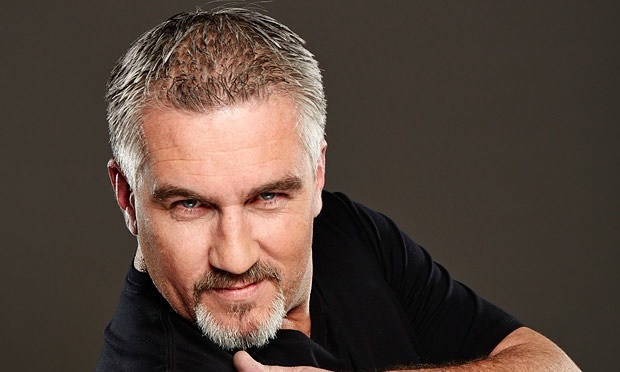 You may remember what a fan I am of Paul Hollywood. Shall we remind ourselves what he looks like? I should mention here that this cake doesn’t travel very well, I made it for a birthday party a few weeks ago that necessitated a half hour car journey, and well, let’s just say I was glad I had taken the photograph of it before the journey. It wasn’t too bad, but the fruit had mostly all rolled off the top, and didn’t look as good when I stacked it back up again because we lost the effect of the powdered sugar on top. If I’d thought, I’d have done that top part on arrival, so yeah, do that if you need to travel it. 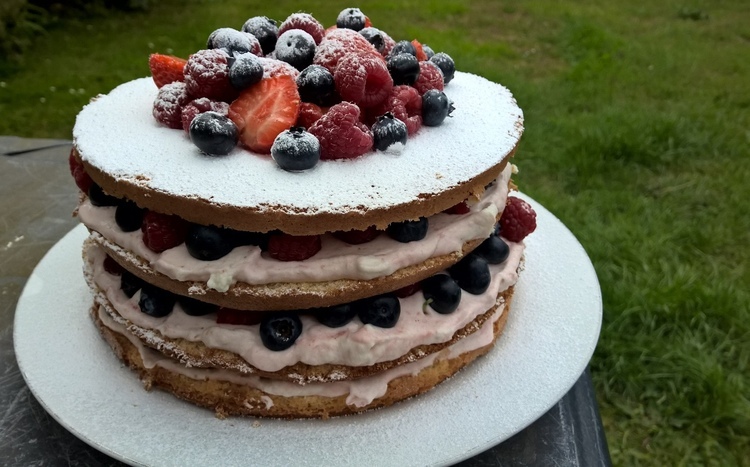 The beauty of this cake is that because it’s so light and fruity, it doesn’t feel too naughty to eat, in fact if you try hard enough, you can convince yourself that it’s pretty much the same thing as eating a fruit salad. 1. Heat your oven to 180°C/350F. Use a little of the melted butter to grease two 20cm sandwich tins. Dust them lightly inside with flour. 5. Whip the cream until it holds soft peaks. Roughly fold in the strawberry purée, keeping the mixture rippled rather than a uniform pink. Thanks Paul, and happy summer eating everyone! Very nice. I’m referring to the cake, of course. Cake? What cake?! Oh right yes!